Welcome to Curtis Arnold's MWOY Fundraising Page! Pre-Derby "Fun"raising Party for LLS! Inviting all my FB friends and family to come together for a party with a cause! A great evening is planned in support of the Leukemia and Lymphoma Society. Mark your calendars and spread the word. 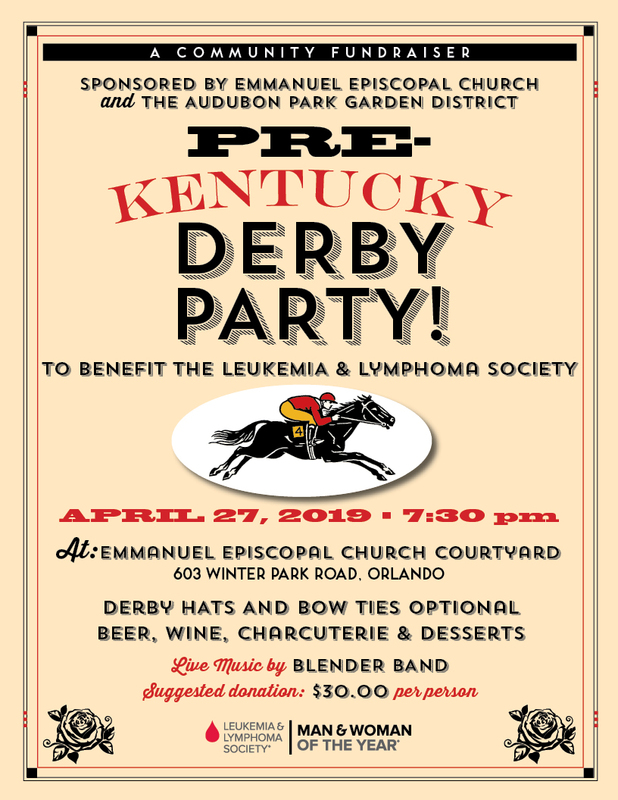 It is sure to be the Pre-Derby Party you don't want to miss! I am very excited to kick off this campaign and begin to help raise funds for the LLS! With the support of Team Curtis' Cancer Crushers and all of our friends and family, I know we will be successful in our mission! Having worked as an oncology nurse, I have met and treated many patients who struggled with various blood cancers, some who survived and some who fought valiantly but lost. I am in this campaign to honor them by helpng us move closer to the cure. I also have very personal reasons to be running and that is on behalf of my brother, Scott, and good friend Greg, who were both treated for Non Hodgkins Lymphoma and are survivors going strong. And finally, I am in this campaign in memory of Amy, a dear friend, whose struggle with lymphoma made it all the more clear that we still have a ways to go and that funding the research momentum is critical. So on this day of the Kickoff, let's get this going! !